Schools can be affected by financial problems just as much as any other institution. When an economic downturn hits parents’ pockets, some will have to withdraw their students so schools have a reduced income, but at the same time they still have to shell out for expensive overheads such as teachers’ wages, infrastructure, electricity, and all the other high costs that go into running a school. Even in the ‘good times’ schools can need financial aid if they feel the need to develop their site, for example building extra facilities such as a drama theatre or computing suite. Or if a school takes on pupils with particular special needs, they might need to employ additional staff. For all these reasons, schools normally have fundraising plans going on all the time, and will usually always appreciate a donation from parents or well wishers. While there will obviously be benefits to the school (and potentially the wider community too) there can also be personal benefits to parents who donate to a private school. That’s because most independent schooling establishments are classified as charities, and as such parents can receive tax relief from donating. Higher rate taxpayer can claim back (from the taxman) the difference between the basic rate of tax that the school is allowed to recover and the higher rate of tax that would have had to have been paid. In addition, if the donors are British tax payers it is possible to “Gift Aid” a donation, enabling the school to receive an extra bonus of just under 30% of the donation at no extra cost to the donor. Of course, other personal benefits might include the positive feelings resulting from being generous and donating money! For practical purposes, schools normally have a range of payment options available to potential donors. 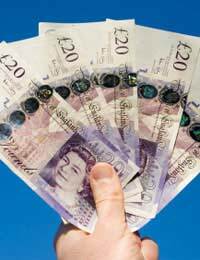 These might include a regular payment such as a standing order, where cash leaves the donor’s account regularly and without personal intervention; or donating for a particular purpose. In the case of the latter, a parent donating a significant sum might for example be given the opportunity to have a plaque or even name the new facility. Most schools will accept donations in any way possible to make it easier for the donor. These will normally include payments by cheque, credit or debit card, standing order or via foreign currency cheques, although you should check with individual schools. Donating shares to a school is a further way to help it to benefit financially whilst reducing your tax burden, since giving shares will lower the donor’s capital gains tax and income tax bills. Schools normally also accept pay as you earn sums, which will come direct from your salary and your work’s payroll scheme - some workplaces will even offer to match the amount you agree to donate, so this can be another way to provide extra benefit to your chosen school at no extra cost to yourself. Again, it is worth enquiring direct from your employer and the involved school.